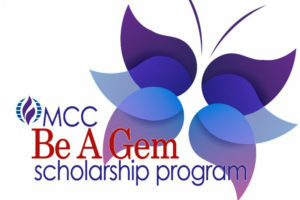 The BE A GEM Scholarship Program IS MCC. It supports the inclusion of MCC leaders from all over the world to attend our face-to-face triennial General Conference. Your donations support the cost for registration, travel, and lodging expenses to people who otherwise could not afford to attend. Many of you have been to General Conference and you know how life changing it is, not only for you, but for your home church, as well. The knowledge gained at General Conference can revitalize and energize a church in ways never done before! We count on the generosity of MCC members and friends to say yes to help support the BE A GEM scholarship program for our 2016 General Conference in Victoria. On average it costs $2000 to bring someone to General Conference. For those of you who have already donated, thank you for giving us that initial push to raise these vital funds. We have raised nearly half the costs to fund the scholarship program. We’ve created a GoFundMe campaign to raise the rest. Can you help us meet the goal? We invite leaders and leaders-in-formation in MCC who would otherwise not be able to afford to come to General Conference to experience global MCC worshipping, learning, and growing together. We especially focus on leaders of emerging groups, churches, those involved in our Global Justice Institute, and those whose training would be beneficial to their local communities and MCC globally. This includes those attending REVM (those who are training to be clergy), LEAD retreat (MCC’s Lay Empowerment for Active Discipleship certificate program), other training opportunities, and of course, the historic General Conference itself. We welcome BE A GEM recipients to participate in General Conference, learning from them about their contexts, as they help shape the future of MCC. We vet the applicants and assist them as they apply for visas while we make travel arrangements. We strive to make sure their entire experience is a blessing. We help connect BE A GEM recipients during conference with sponsors in providing excellent hospitality and welcome. For many scholarship recipients, this will be their first MCC conference or their first experience outside their country for an MCC event. This year, we are also giving partial scholarships to recipients who are paying part of their expenses as their capacity and commitment increases. This will be the first year we will welcome a large group from Brazil who are paying for their flight. Some of our recipients are volunteering, in their own churches and contexts, in difficult conditions, with challenges to human rights and spiritual freedom. We hope that coming to General Conference will encourage them to build their leadership skills for the work that will still need to be done back home. We want the Be a Gem scholarship recipients to have the opportunity so many of us have had for decades and that is to be refreshed and renewed with the people of God who gather as MCC. Below are a sample of the people who have been selected for a scholarship and who wanted you to meet them through their own words. Take a few minutes to watch their brief videos–just one to two minutes each. As I prepare to lead my last General Conference as Moderator, I ask you to prayerfully help us honor our BE A GEM Scholarship program. Your donation will make a difference! I believe that we are stronger together and our joint efforts to support this program will change lives and history.